Win up to £25,000 with The Shakespeare Hospice Weekly Lottery. By becoming a member, you could also be in with a chance of winning a £1,000, £25, or £5 prize in our weekly draw every Saturday. Playing The Shakespeare Hospice Lottery will help US to help families affected by life limiting illness in South Warwickshire and the North Cotswolds. Not only could you be in with winning these amazing prizes, but your membership will make a real difference to our patients and families, please sign up today! If you would prefer to join the lottery via a monthly direct debit, you can from as little as £4.34 per month. The Shakespeare Hospice Lottery is part of a much larger lottery run by Unitywww.unitylottery.co.uk which brings together the lotteries of many different charitable organisations. Unity pools your contribution with thousands of other and hence is able to offer a top prize of £25,000 - something The Shakespeare Hospice operating along could not do. However, you can rest assured that 50p of every £1 spent by our supporters on The Shakespeare Hospice Lottery comes directly to the Hospice. Join today and help us help others! Download registration form to sign up by post. 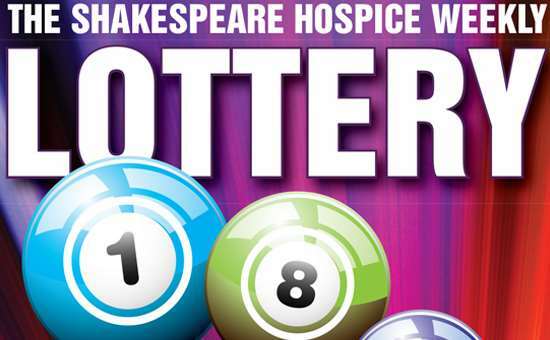 We are committed to using lotteries and raffles to fundraise responsibly in order to help raise over £1.5 million each year to run The Shakespeare Hospice. If anyone is concerned about gambling or would like to access support if needed, further information can be found through the Responsible Gambling Trust's website at www.responsiblegamblingtrust.org.uk. Alternatively, you can contact Gamcare at www.gamcare.org.uk - 0808 8020 133. Please note that it is an offence for any persons under the age of 16 years to participate in a lottery.